‘I was invited to give a presentation at the Rotary club in downtown St Paul, where I got up there and started my talk and was telling them all about the statistics of alcoholism. I saw people like just dropping off, you know, checking their watches and people sneaking out the back door and I was losing them. Another excellent video from the ManyFaces1Voice website. 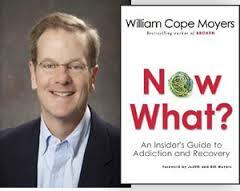 William Cope Moyers is an author, advocate and vice president at Hazelden (hazelden.org). He began his journey away from addiction in 1989 and has been in long-term recovery since 1994. As the President of The Johnson Institute, he was instrumental in the founding of Faces & Voices of Recovery in 2001.